Description: Capiz Curtains White Capiz Tight Strand 24” inch wide (61cm) strong in any color or natural wood holder 20mm diameter .In 30 nylon strands with 25 White Capiz chips (2 inch)50mm diameter on it. 125 cm long (49” inch) Making a total of 750 Capiz Chips per Curtain. Available in any colors, shapes, size and design. 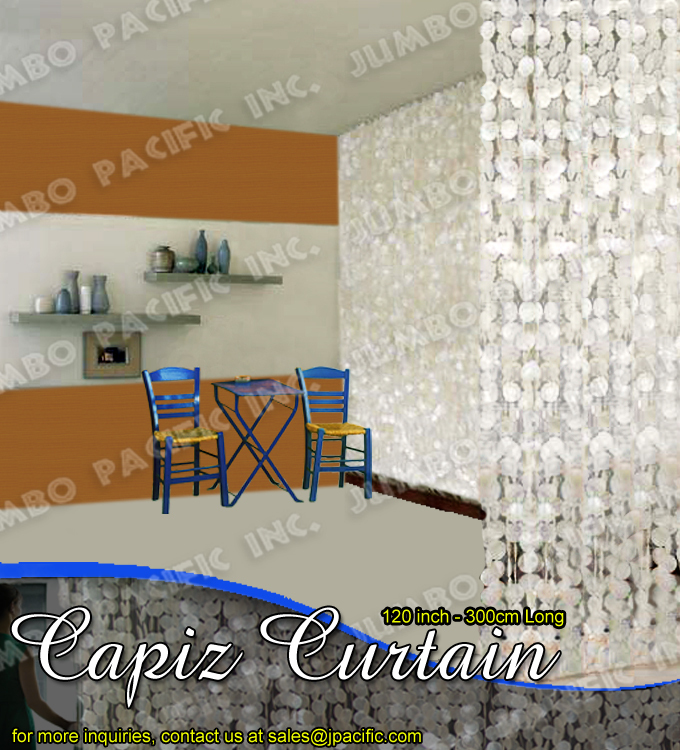 Description:Capiz Curtains White Capiz 24” inch wide (61cm) strong in any color or natural wood holder 20mm diameter. In 16 nylon strands with 24 White Capiz chips (2 inch)50mm diameter on it. 120 cm long (47” inch) Making a total of 384 Capiz Chips per Curtain. Available in any colors, shapes, size and design. 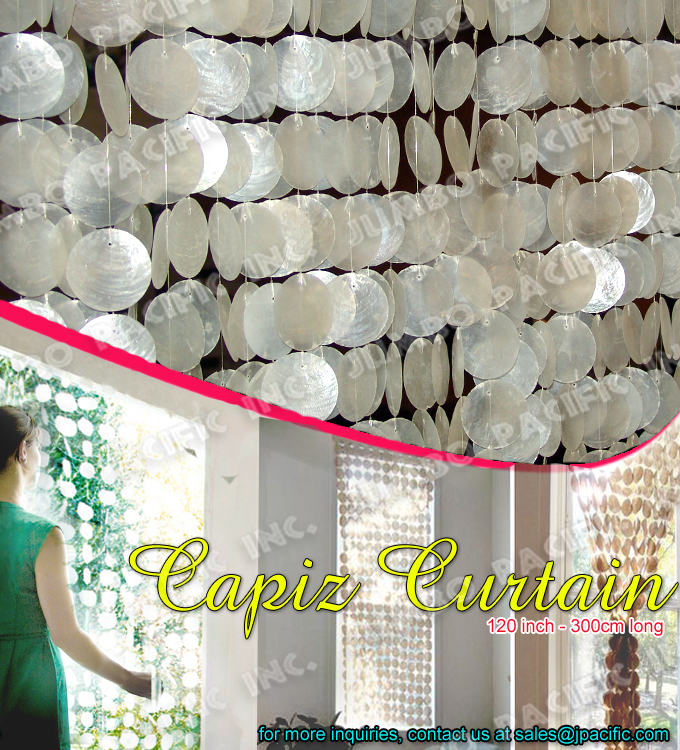 Description:Capiz Curtains White Capiz 48” inch wide (122cm) strong wood holder 30mm dm. white capiz covered. In 57 nylon strands with 40 White Capiz chips (2 inch)50mm diameter on it. 200 cm long (80” inch) Making a total of 2280 Capiz Chips per Curtain. Available any colors, shapes, size and design.